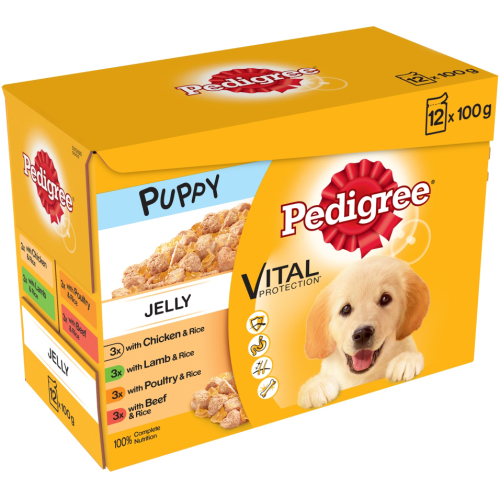 Delicious and nutritious the Pedigree Pouch Jelly Varieties Puppy Food help create the building blocks your puppy needs to grow strong, happy and healthy. With over 40 years’ experience Pedigree makes food that does good so that you can be sure your puppy is as healthy on the inside as they are on the outside. Enriched with calcium and phosphorus for healthy growth, zine and sunflower oil for healthy skin and coat and Vitamin E to support the immune system.